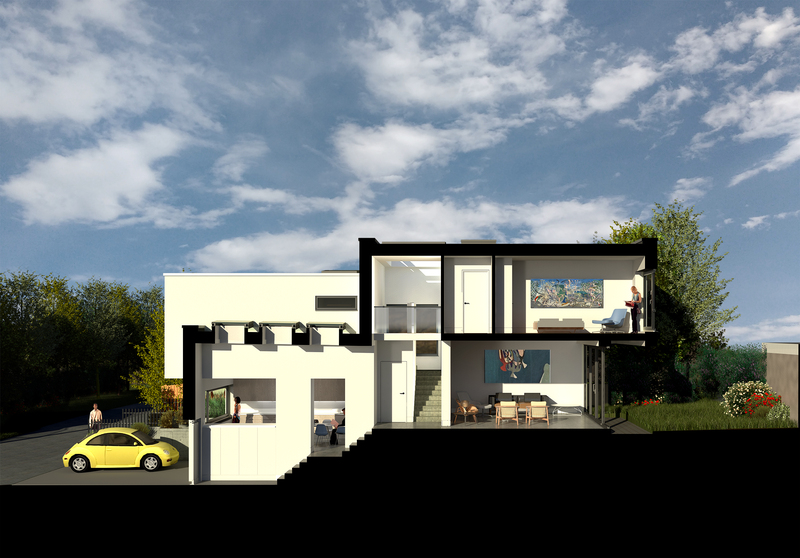 New house design for private client in Bexley, south east London. The design was approved by Bexley Development Control in autumn 2018. 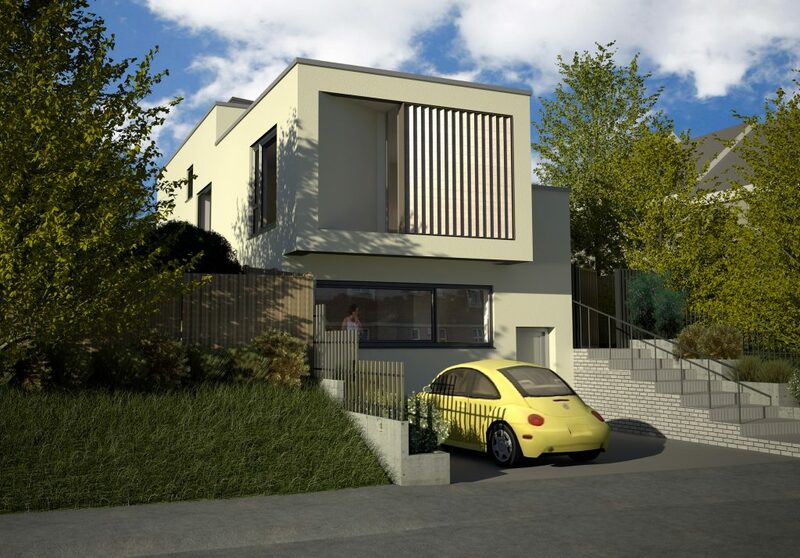 We were asked by the client to create a design for a 3 bedroom family home. 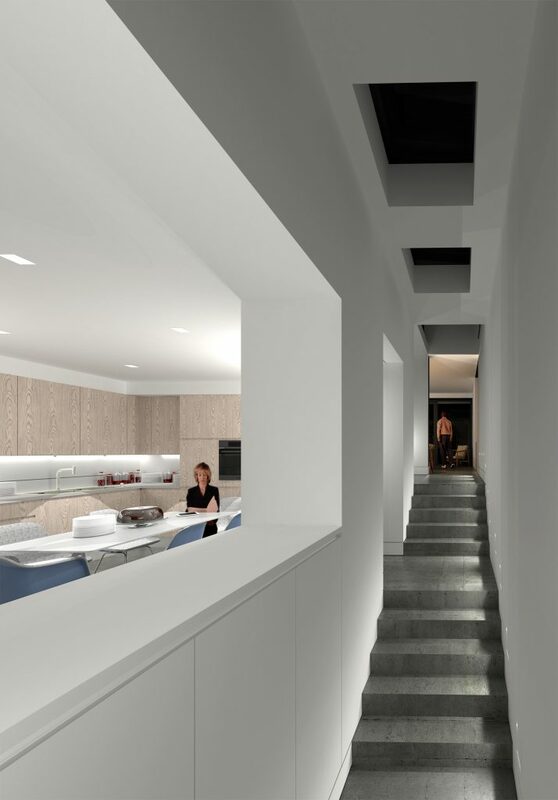 The building occupies most of the narrow linear sloping site which is sandwiched inbetween existing housing on one side and another narrow site on the other side. The surrounding buildings and other site contraints informed the configuration of the design. Double height spaces, long views from front to back garden and skylights have been used to create large volumes which give a sense of expansive spaces on this compact site.